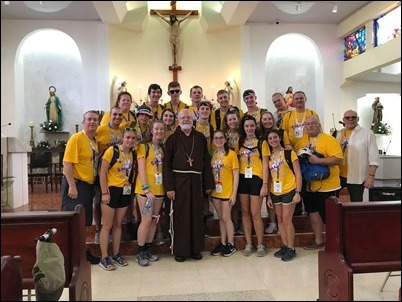 Following the March for Life in Washington, D.C. last week, I departed for Panama where the Holy Father is meeting with young people from around the globe for World Youth Day. 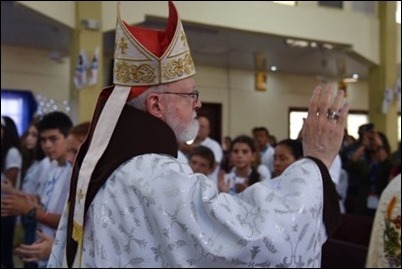 The first time that I was in Panama was back in the 1970s, when I was a young priest. Returning now, it is like going to a different country— it’s just amazing how much development has taken place here. 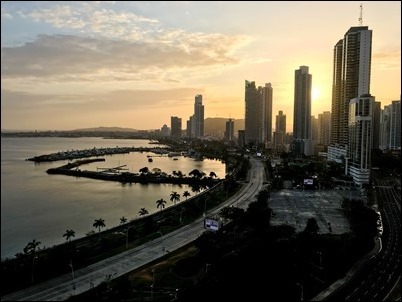 There are, of course, still many places where people are struggling economically, but Panama City itself has just been transformed by development — high-rises, skyscrapers and banks are everywhere. 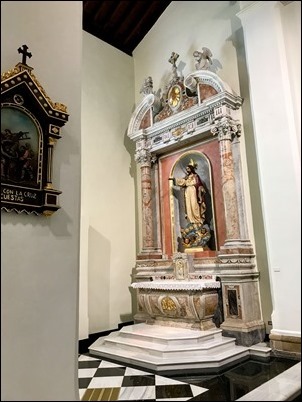 When I first came here, the archbishop was Archbishop Marcos McGrath, a Holy Cross Father who was a good friend of mine. His father was Irish-American and his mother was Costa Rican. 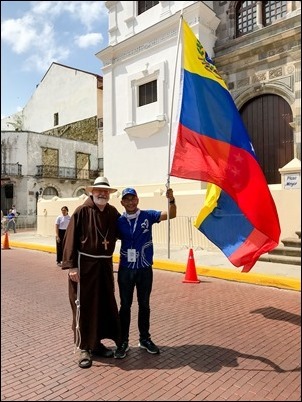 He was a wonderful bishop who, I used to say, was “the tallest man in Panama!” He had been on the Notre Dame basketball team, and it was at Notre Dame that he joined the Holy Cross Fathers. 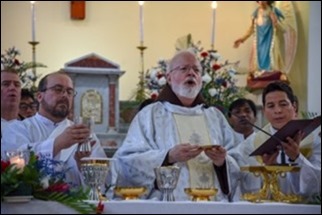 Then, he taught at St. George’s College in Chile, which is run by the Holy Cross Fathers. 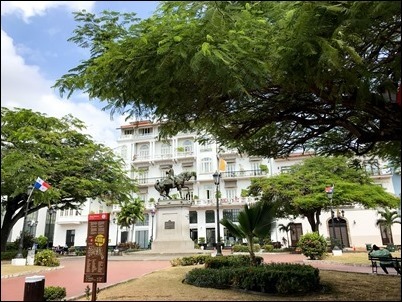 Eventually, he became Archbishop of Panama at a very interesting period in history – the time of the wars in Central America and the ongoing negotiations over the future of the Panama Canal. He describes how the French attempted to build the canal so that, as we know, ships would not have to go around the horn of South America to pass from the Atlantic to the Pacific. They contracted with a man by the name of Ferdinand de Lesseps, who had built the Suez Canal. However, they encountered great obstacles including thousands of workers who died, mostly due to contracting yellow fever and malaria. Then, Teddy Roosevelt decided that he would try his hand at it, and in 1904, the Americans took over and in 10 years built the Panama Canal. They had a 100-year lease for the land, and back in the 70s negotiations were taking place as to what would happen when that lease expired. Of course, there were many Americans who did not want to give up control the canal, but President Jimmy Carter was inclined to return control of the canal to the Panamanian people. 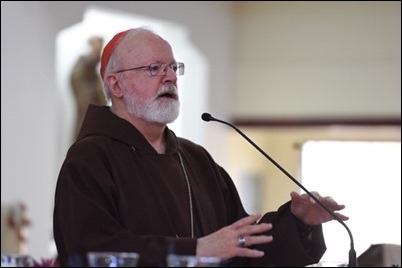 In fact, he brought Archbishop Marcos McGrath to Washington to address the Senate, outlining all the reasons why control of the canal should be returned to Panama. 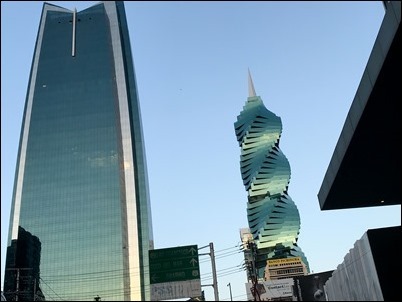 A treaty was signed in 1977 between General Omar Torrijos and President Carter stating that the country of Panama would take over the canal in the year 2000. Since then, the country has experienced incredible economic progress. 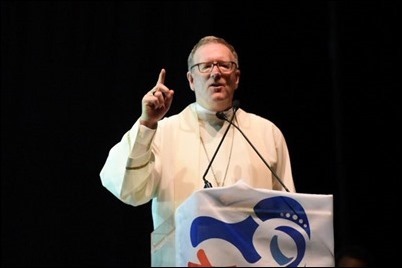 In a way, that economic progress is one of the reasons we are here in Panama for this World Youth Day. 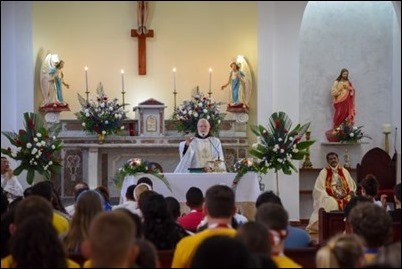 The bishops of Central America had asked that World Youth Day be held in this part of the world because many of the youngsters here would never have the possibility of traveling to other countries such as Europe and Brazil for World Youth Day. 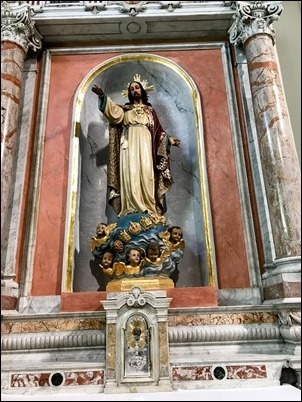 It would be too difficult for them to raise money for travel or acquire the necessary visas, and so the Holy Father consented to hold World Youth Day in Central America. 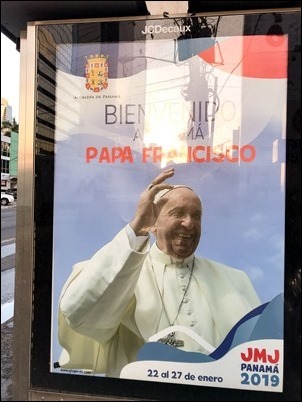 Panama was chosen as the location because it is perhaps the country in Central America that is most suited, with its infrastructure and security, to host a World Youth Day. It is being held in January because Central America follows the academic year of South America and, in the Southern Hemisphere, this is their time of summer vacation. 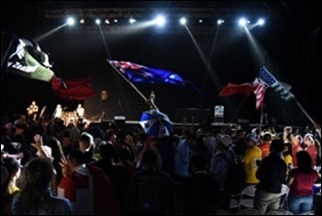 Of course, the timing made it difficult for Europeans and North Americans to attend, however, I believe the United States is still the country with the largest number of youth attending this World Youth Day. 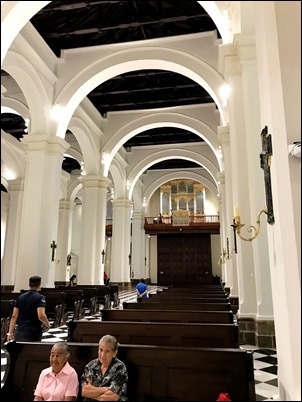 There are about 30 American bishops here in Panama, and about a dozen of us have been asked to give a catechesis for pilgrims. 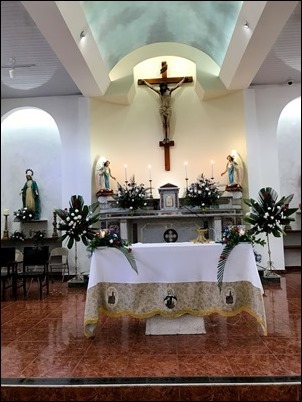 I gave my catechesis on Wednesday. 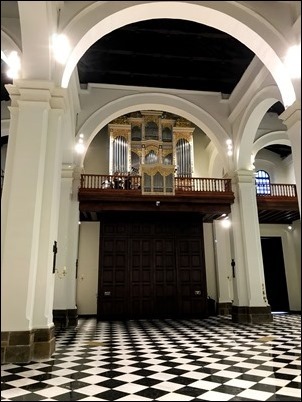 It was held at the beautiful Church of Santa Eduviges (in English, it would be St. Hedwig). 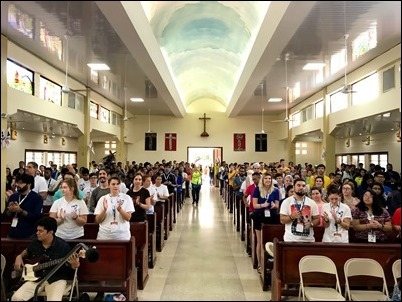 We had a full church with a group of English-speaking pilgrims from a number of countries including the United States, India, Australia and Ireland. 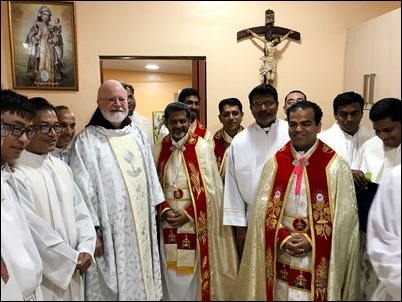 The group of young people who provided the animation and music for the gathering was a band called “The Acts of the Apostles,” who are Syro-Malabar Catholics from the United States accompanying a Syro-Malabar bishop from India, Bishop Joseph. 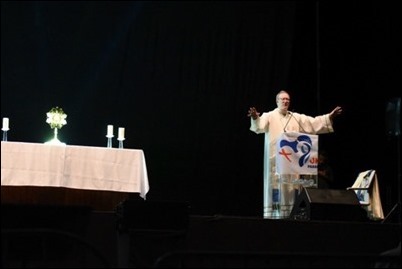 Then, in the afternoon, I went to the center for English-speaking pilgrims run by the Knights of Columbus and FOCUS at the Amador Convention Center, where Bishop Robert Barron and myself led a Holy Hour as part of the Fiat Festival. 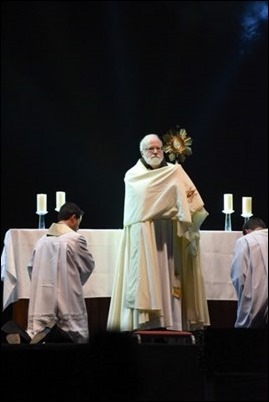 We had a very grand Eucharistic procession and, during the Holy Hour, Bishop Baron gave a wonderful talk. 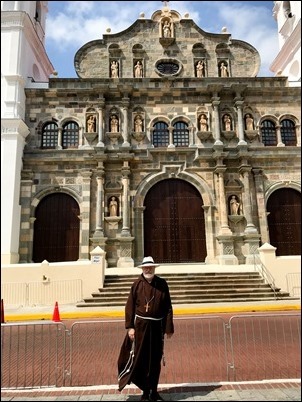 Yesterday morning, Father Castañeda and I went to the old part of Panama City. 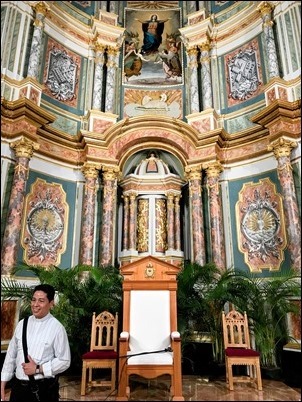 There, we visited the Church of San Jose, which dates back to 1675. 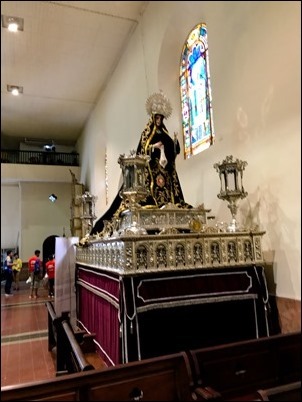 It is a stunning colonial church that has a golden tableau and a beautiful statue of Our Lady of Sorrows, which is obviously used for their Good Friday processions. 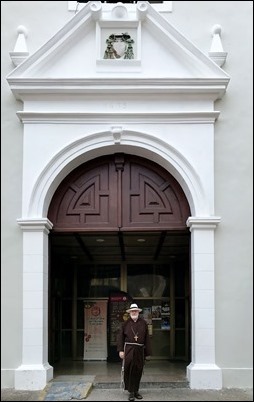 You might notice that, in some of the photos, I am sporting a Panama hat, but it’s not exactly a fashion statement, it’s more like survival gear. My Irish ancestors were like vampires — the sun kills them! 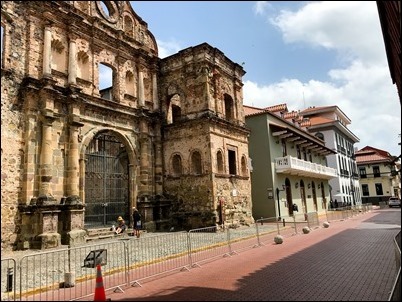 We also saw the ruins of an old Jesuit church, la Iglesia de la Compania de Jesus, and then we went on to visit the cathedral. 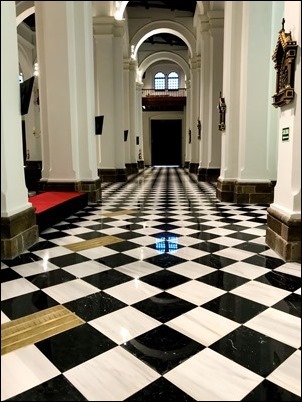 The oldest part of the cathedral dates back to the 1600s, but they have refurbished it and it is just stunning. 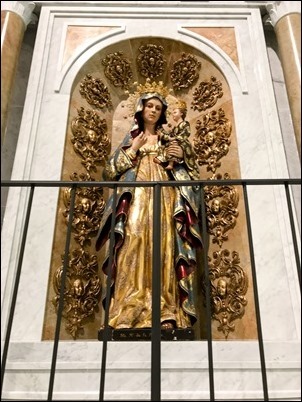 The Holy Father will be having Mass there on Saturday morning for priests, consecrated men and women and representatives of the different lay movements. 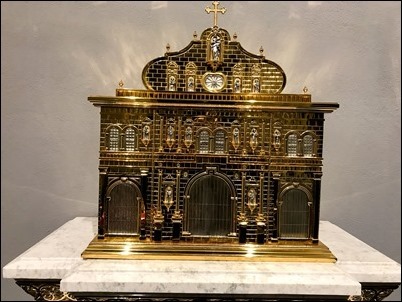 The tabernacle in the cathedral is a replica of the cathedral itself. While we were in the old city, I ran into a group of Capuchin seminarians from Venezuela. 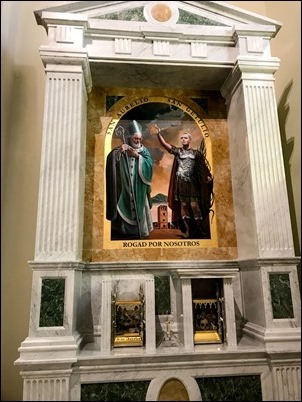 Two of them were actually from the Diocese of Machiques, a place where I was almost going to be bishop. 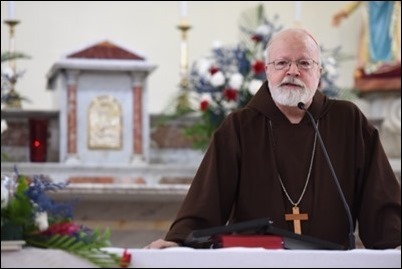 At the time I was bishop in the Virgin Islands, the Capuchins had three Apostolic Vicariates in the country of Venezuela (Machiques has since been made a diocese), and I was asked to become Bishop of Machiques. I said that, of course, I was happy to go wherever I was sent, but then I got the letter that the Holy Father had made me Bishop of Fall River. So, I never made it to Machiques, but at least I had the chance to meet two young seminarians from there! Of course, we have seen many other groups of Venezuelans here in Panama. We are all praying for the situation in Venezuela. 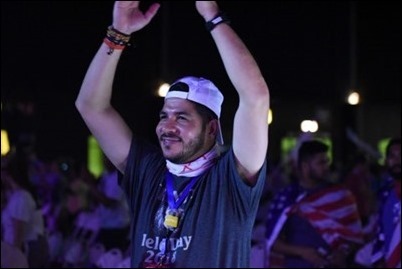 The head of the National Assembly, Juan Guaidó, has declared himself to be the interim president and has been recognized by the United States and the Organization of American States. Of course, we are all concerned for his safety. 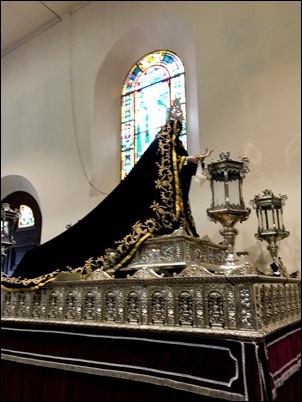 We hope this will help to bring about free and fair elections in the country, but the situation in Venezuela is so dire, they all need our prayers. I feel very happy to be able to be here to accompany our pilgrims from Boston. 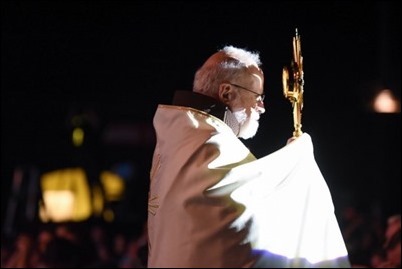 This is the 10th World Youth Day, with three different popes, that I have attended as a bishop. My first was Denver in 1993, and I have attended all the subsequent World Youth Days, except Manila in 1995. 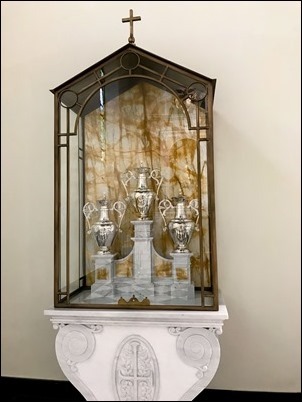 Each has been a time of great blessings and a wonderful opportunity for young people to understand the universality and catholicity of our Church. 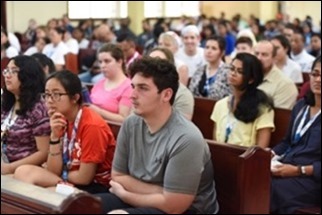 Some studies have shown that, in the United States, over one-third of our seminarians have attended a World Youth Day. This just shows the impact that this experience has on young people. That is one reason why I always encourage our young people to attend World Youth Day, and it is for the same reason that we take so many young people to the annual March for Life. 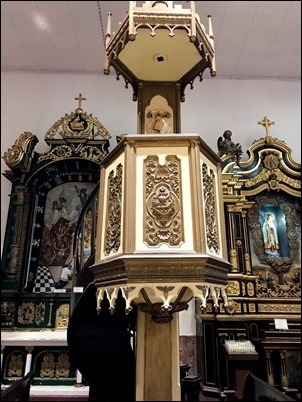 Sometimes, our young Catholics feel very isolated. 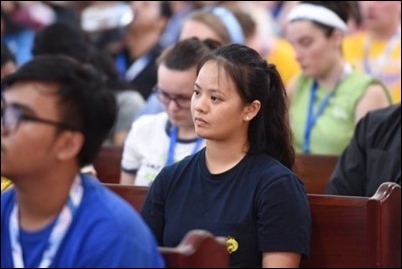 They feel very alone in their faith, and it is important for them to see that there are thousands upon thousands of young people their age who are living their faith, working for the gospel of life and evangelizing to strengthen the mission of the Church throughout the world. 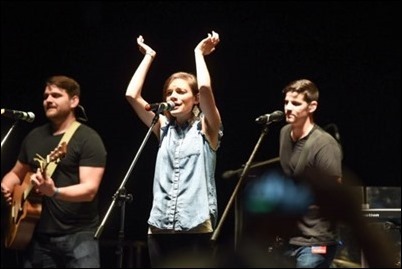 These are wonderful events, and I am so happy to be part of it in some small way. 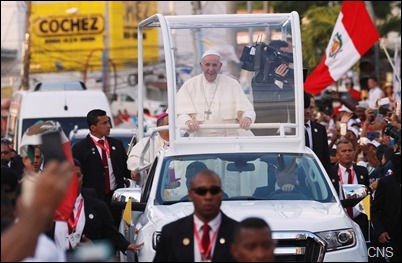 As I write this, the Holy Father has recently arrived and will hold a series of encounters with the young people, culminating, of course, with the Mass at Campo San Juan Pablo II. I look forward to sharing with you the rest of this profound experience next week.